Type the drive leter e.g J: and then press enter. 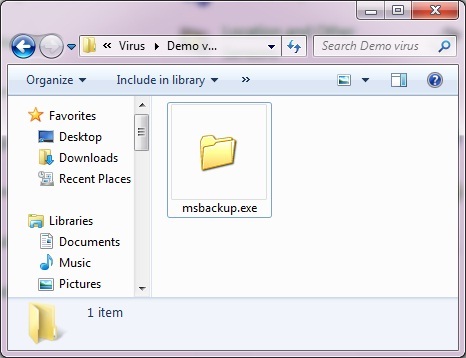 Many viruses which propagate through removable drive e.g USB drive, DVD etc. uses a file named autorun.inf to infect your PC. When you double click the drive then the autorun.inf execute the virus exe to infect your computer. 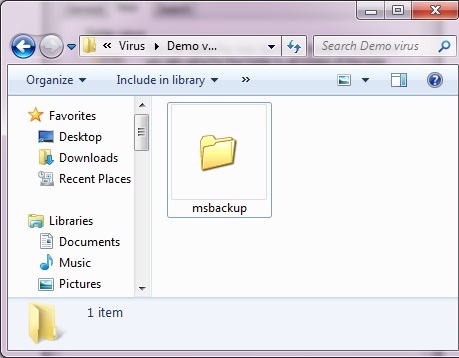 Now see this folder “msbackup” which is actually a virus. As you have check option “Hide Extensions for known file types” , you will click on this folder and get infected from this virus. But, if you have unchecked the option then “Hide Extensions for known file types” then you will be able to see extenston exe as shown in the screenshot. 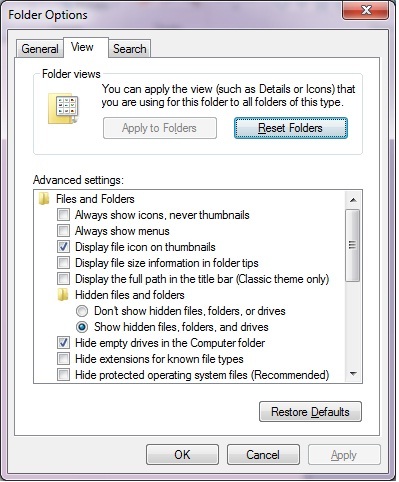 Now you can see a executable file with icon of folder then you should not run this type of file as they are virus. 3. You should also check option “Show Hidden files, folders and drives” and uncheck “Hide protected operating system files” as shown in the screenshot. Most of the virus change their attributes to Hidden and OS System files so we are not ale to see them in Windows Explorer. Now you can delete this virus if you are not infected with this virus. If you are unable to delete then you are infected with this virus. 4. At last, you should use antivirus software like Avira Antivir Personal which is free for personal use and always update the anti virus. 5. We can also create a folder with name autorun.inf in every drive. Reason: Due to this virus can’t create a file autorun.inf file. Note: This works fine on Windows XP. Hope you enjoyed this post , feel free to comment……Happy hacking!!!!! Since windows give more priority to folder than file. If we created folder name “autorun.inf” in removable drive, then “autorun.inf” file from infected computer not copied in your removable drive. Because of this at least you can open your drive by double clicking without any fear.